SEO, or the lack of it, has an enormously strong effect on the success of running any kind of e-business, including online retail. Accordingly, your store will most likely experience low traffic if it’s poorly optimized for search engines. And if so, the revenue won’t be a reason for pride either. Yeah, you could use AdWords to drive visitors. Is there really no better way to spend money, if SEO can make you a star of SERP for almost nothing? That said, we’re missing out a tricky part. If one says the success of your online store SEO is completely up to you, that’s just a half-truth. The point is that not all shopping carts offer equal ranking possibilities -- as the result, identical optimization efforts don’t always perform the same. For that reason, we decided to take two of the most popular open source e-Commerce platforms -- Magento and WooCommerce -- and review them ignoring everything they have different or similar expect of their SEO features. So, what’s the best for SEO -- Magento or WooCommerce? Let’s find out. Both shopping carts are considered to be SEO-friendly and feature-rich enough to get your store into top of SERP. However, they do have certain differences. So join us in our investigation to get through the list of main SEO features and find out how good or bad each of these two shopping carts perform. Navigational link is the text that appears for products and categories in the navigational menus of your website and leads to the corresponding product / category page. Some shopping carts create them by default simply by using the actual product names and can’t be changed, which is a serious disadvantage. The thing is, many tend to name products by including long-tail keywords for SEO purposes, such as “Apple MacBook MK4N2LL/A 12-Inch Laptop with Retina Display (Gold, 512 GB) OLD VERSION”. However, you wouldn't want your product to appear in this awkward manner in your navigation menu, right? Hopefully, both WooCommerce and Magento allow customizing your navigation links within the admin panel. This would let us optimize product names, but leave navigational links clean. Appropriate page title tag is crucially important and performs best when it includes a key search term. It appears in three places: in the browser tab, on SERP and as a link anchor text from external websites. Both platforms let us create independent page titles that do not duplicate product names completely. With Magento, everything is super easy: just go to a product editing area and enter a custom page title into a corresponding field. WooCommerce, however, requires some more sophisticated actions to modify a product page title. As the result, this may require support from a developer. Page URLs is the location of a page that shown in the browser’s address bar. For SEO, it’s important to have a control over the page URLs to adjust these for your own advantage. Even though both WooCommerce and Magento are capable of altering page URLs to some extent, their possibilities differ. 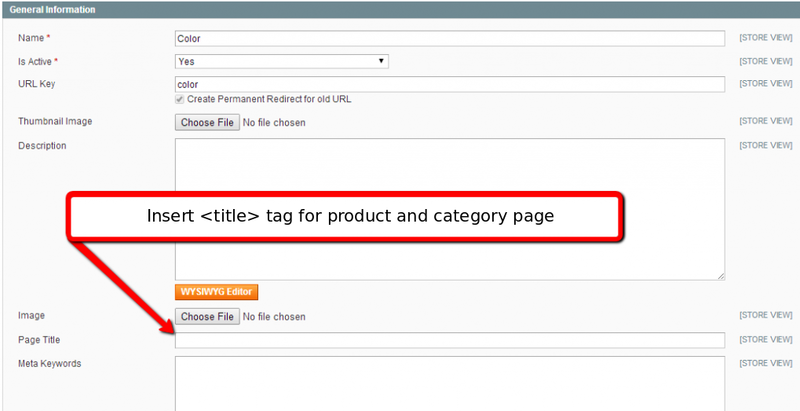 Magento adds .html suffix to the end of product and category URLs by default. To remove the .html suffixes, you need to login your Magento Admin Panel and go to: System -> Configuration -> Catalog -> Search Engine Optimizations. Here, you need to delete the .html suffix from the “Product URL Suffix” and “Category URL Suffix” fields and leave them empty. Fortunately, you can remove /index.php/ from the URLs, by modifying your .htaccess file. WooCommerce, unfortunately, is less flexible regarding URL structures. For example, WordPress adds /shop/ to the product URLs. The /shop/ part can be altered to /product/ or any other custom one, but can’t be omitted completely. To change product and category URLs in your WooCommerce store, log in to your WordPress admin panel and go to Settings -> Permalinks. Blog and an efficient content strategy is, perhaps, the best way to receive inbound links to your website and rank high for your industry’s related question users might search for. Among all existing e-Commerce platforms, WooCommerce, perhaps, has the best blogging feature, since it’s built on top of WordPress -- an initially blogging platform itself. Magento, however, would require a 3rd party plugin to add a blogging platform. That said, such 3rd party blog would offer much lesser functionality than the one built with WP. Quick tip: it’s essential for a blog to be under the same domain as your shop. Otherwise, any external links pointing to your blog would have little or no difference to your online store’s SEO. Meta description is the text that appears with your links on SERPs. While it doesn’t have a direct affect on your position on search results, it has a potential to increase CTR. An effective Meta Description needs to have a strong Call to Action and show users that your offer differs from the others and is highly relevant to their search. While some of the shopping carts automatically generate the descriptions basing on what’s written on your page, both WooCommerce and Magento allow creating custom ones. What’s ALT tag? It’s a text added to a product image (or any other) to describe it to search engines. It's also helpful for users who disabled images display in their browser. ALT tags don't affect your content’s position on the main SERP directly. But they may have a strong impact on the appearance of images in Google’s image search results. Images that are descriptive enough outside their original context have a high chance to drive a few hundred users eventually. In Magento, you can add ALT text to product images by going to Product Information -> Images. In WooCommerce you would need to step to Media Library and fill out the Alternative Text field. Pay attention that it always makes sense to write specific ALT tags with long-tail keywords included. Canonical URL is a page’s original address that can be found in more than one location. Since these are two separate URLs, Google would consider bythese as two different pages, even though the info on them is fully identical. As the result, a search engine might penalize these pages, marketing them as duplicated content. How can “REL CANONICAL” tag help? It allows you to indicate which URL should be regarded as the preferred version of the page and avoid accidental penalization. The simplest way to add rel canonical tag in Magento is to manually insert it before the closing tag on pages with “duplicated” content. So, for example, www.store.com/sweets/enjoy-life-soft-baked-cookies product page should contain rel canonical tag pointing to www.store.com/snaks/enjoy-life-soft-baked-cookies (or vice versa, it doesn’t matter). In this way, Google won’t consider the page in /sweets/ category as a separate one with duplicated content. Nonetheles, it would still index it properly. As for WooCommerce, you can effectively utilize rel canonical tag with the help of Yoast SEO plugin. Sitemaps are not for humans, but for search engines. An XML sitemap is a file located on your server to help search engines find, index your content and rank in high in SERP (if it’s well-SEOed, of course :)). Why XML sitemaps should be generated automatically? The reason is simple: maintaining and updating a list of thousand ages is not something you're capable of as a human. Hopefully, both Magento and WooCommerce support auto-generation of XML sitemaps. In Magento, to add a new sitemap, you would first need to create a /sitemap directory in your store’s root directory with writable permissions to be able to generate and save sitemap XML to that location (http://www.online-store.com/sitemap/sitemap.xml). Then go to Catalog > Google Sitemap and add a new sitemap. To update your sitemap at regular intervals, go to System -> Configuration-> Catalog -> Google Sitemap -> Generation Settings and set auto update in early hours of the morning when your website traffic is the lowest. 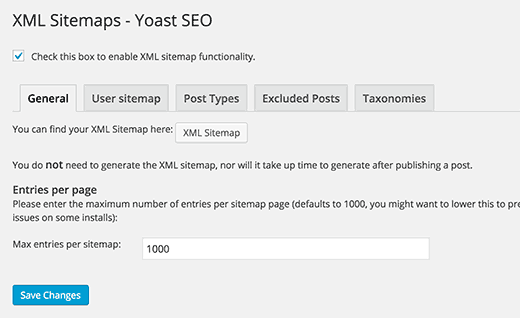 WooCommerce would require an additional free Google XML Sitemaps plugin for WordPress or the Yoast SEO plugin we’ve mentioned above. Both plugins are lightweight and easy to configure. Robots.txt file is, again, created for search engines, and used to tell them which pages they should, or should not index. Like sitemap.xml, it’s located on store’s web server. The point is, Google spiders don’t crawl your website entirely every single time they get there, but gradually over the course of time. By assigning “noindex” value to folders containing scripts, images or data, you get your product and category pages prioritized and, as the result, index more often. Most shopping carts generate a robots.txt file automatically based on standard assumptions about which folders you would prefer not be crawled. Besides, WooCommerce and Magento offer extended functionality, which lays in the possibility to have manual control of this file. 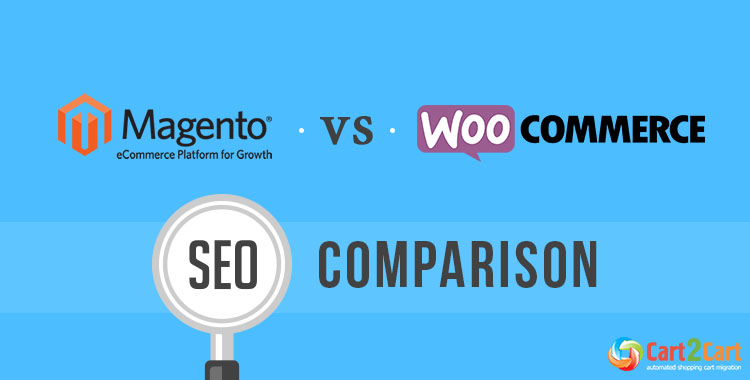 So, what’s better in terms of SEO: Magento or WooCommerce? If you do research yourself and read a few pages of community forums, you’d find that Magento, in general, is considered more SEO friendly. Yes, Magento has slightly better SEO features (especially when it comes to URLs structure), expect of blogging functionality. Unlike WooCommerce, which requires numerous plugins and extensions for most of the advanced SEO features, Magento is capable of providing you with a vast arsenal of killer optimization functions to ensure high position on SERP right out-of-the-box. However, the other side of the coin is that WooCommerce is much easier to optimize for search engines for an average user. For example, WooCommerce has wonderful page load time (which is exceptionally important for SEO) and it’s hard to make it load any slower if to use a reliable hosting. On the other hand, Magento users often struggle to cope with platform’s sluggishness -- it takes time and knowledge (of yours or a developer) to tune it right. WooCommerce would be a perfect fit for a small-sized store owned by a not too much tech-savvy merchant who tends to count on their own. As for Magento, it’s designed more for ambitious big-sized stores with a developer staff and sufficient financial resources. So, it's up to you to pick which shopping cart to use, but it’s up to Cart2Cart to migrate your store to any of these two solutions! Cart2Cart offers an automated shopping cart migration service that would help you move your current store’s data to Magento,by or with equal ease and quality migrate to WooCommerce. Within several hours, all your product, customers, orders and other related data will be transferred qualitatively with no programming and no software installation. Sounds tempting? Start with a FREE Demo Migration and get your business into the first rank of SERP with a progressive, SEO-friendly shopping cart!